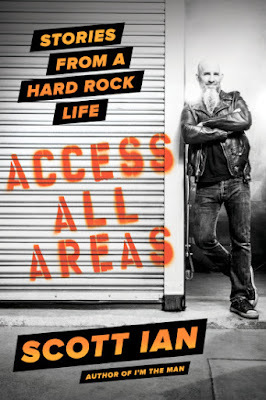 Anthrax guitarist Scott Ian will release his new book, “Access All Areas: Stories From A Hard Rock Life”, on December 12 via Da Capo Press. Fans will also learn of the Anthrax co-founder’s encounters with fellow rockers like David Lee Roth, Motorhead’s Lemmy Kilmister, Metallica bassist Robert Trujillo, Pantera legend Dimebag Darrell, Slayer, and Trent Reznor of Nine Inch Nails, among others. “Access All Areas” follow’s Ian’s 2014 memoir, “I’m The Man: The Official Story Of Anthrax”, which detailed Ian’s life growing up in Queens, NY, discovering rock and roll, and forming the thrash metal pioneers in 1981. The group will begin a three-date series of concerts in Mexico in Tijuana on October 26 before performing a fall run across South America next month.